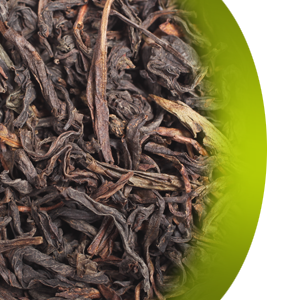 A legend says that freshly plucked tea leaves dropped by a hunting man, turned into a tea of distinctive flavor and character through overnight withering and fermentation. Nowadays withered in the sun and turned in bamboo baskets, these bold whole leaves develop a mild, sweetbread-like flavor. Medium bodied, with a golden-brown colored liquor and light floral nutty taste. Subject to global limited availability.